All Dalworthington Garde homes currently listed for sale in Dalworthington Garde as of 04/22/2019 are shown below. You can change the search criteria at any time by pressing the 'Change Search' button below. If you have any questions or you would like more information about any Dalworthington Garde homes for sale or other Dalworthington Garde real estate, please contact us and one of our knowledgeable Dalworthington Garde REALTORS® would be pleased to assist you. "Exquisite style and workmanship with uncompromised quality throughout. This home's unique multi-level design offers comfort without sacrificing style. Family and guests are greeted with a circular drive and a dramatic entry. 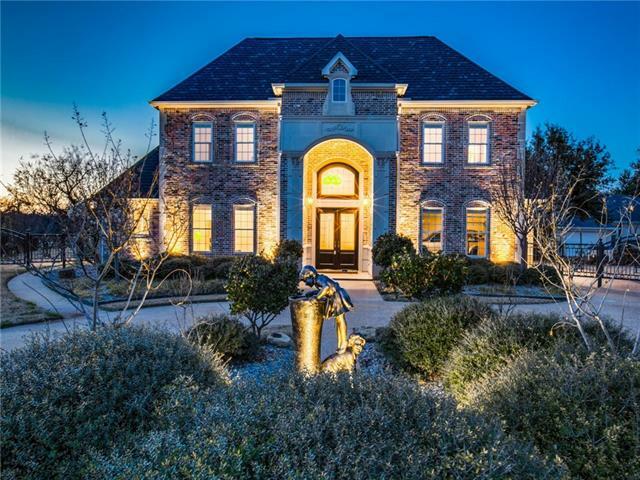 Step inside to elegance with soaring ceilings, formal living and a magnificent staircase. Open concept design is found in the first class chef's kitchen, breakfast area and family room. You will be drawn outside to imagine many gatherings around the pool, beautiful lands"
"Stunning Dalworthington Gardens custom built home nestled on private cul-de-sac in Enchanted Gardens. Home boasts 4 living areas, gourmet kitchen, large master suite & 2nd bedroom down plus 3 bedrooms up; enormous game room with terrific computer alcove. Double staircases, media room, safe room plus generous storage. Inviting backyard oasis designed for entertaining with its huge patio and sparkling Pebble Tec pool; ample grassy area & separate fenced side yard for dog run a plus. 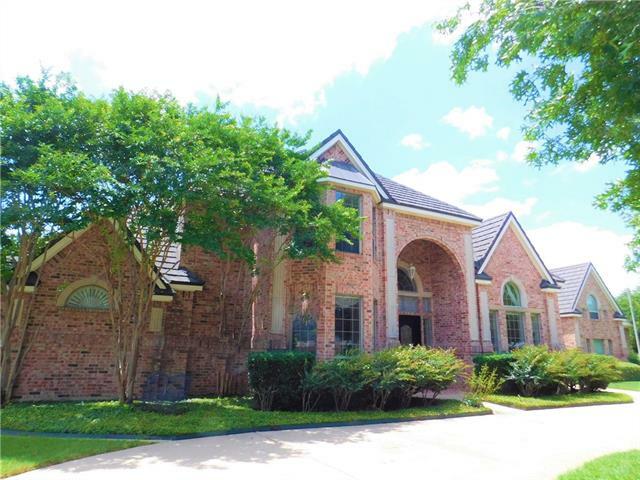 Port a cochere"
"Extraordinary living in huge 2 story customized home w 1,500sf 2nd floor bonus areas-2 story garage. Sweeping corner lot has majestic fir tree centered in circle drive. Living areas open for entertaining. Outstanding kitchen has: breakfast bar, huge island w salad sink, room for subzero. 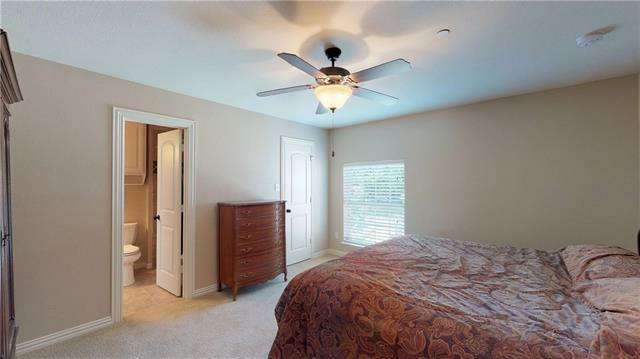 Downstairs includes full master suite, split in-law bedroom w full bath & much more! Banquet size formal dining, additional formal living & huge sunroom w mesmerizing pool view. Upstairs offers additional game-m"
"Welcome To This Amazing Dalworthington Gardens French Chateau Style Home. This Home Was Built & Has Been Cared For In An Unbelievably Meticulous Manner As Is Evident In Every Square Inch Of This Home. 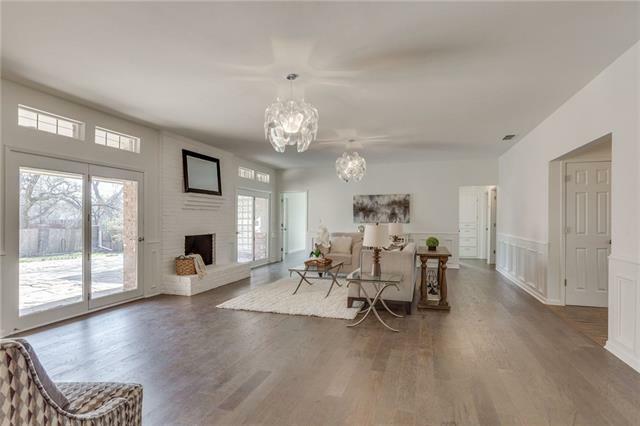 It Offers 5 Bdrms, 5.5 Baths, Office, Media Room, 2 Living Areas, 2 Dining Areas, Professional Style-Gourmet Kitchen, 2 Balconies, 2 Wet Bars, Large Private .5 Acre Lot Overlooking A Peaceful Greenbelt, Private Irrigation Well, Roof Replaced in 2017, Perfect Home For Entertaining & So Much More. " 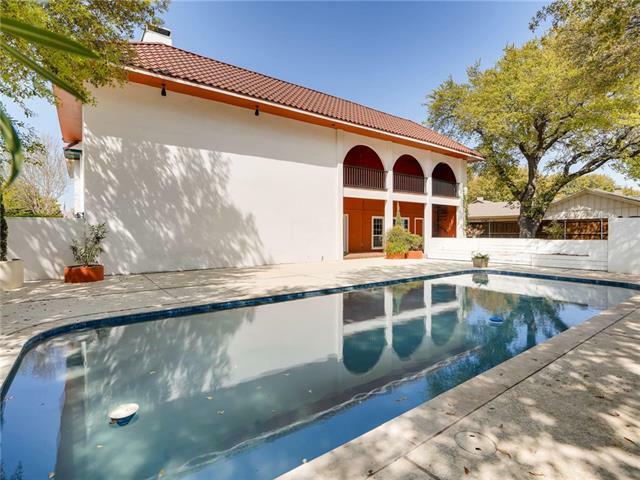 "Beautifully updated home with inground pool on large treed lot in exclusive DWG! Stone pathways,covd front porch,professional landscaping add to the wonderful curb appeal*Open floorplan perfect for entertaining with 2 large living areas,2 dining spaces & beautifully updated Kitchen with custom cabinetry,pretty granite,subway tile,updated appliances,walk-in pantry*Private Master Suite has wood floors,access to back patio & fabulously updated bath with oversized double shower,skylite,custom cabine"
"Beautiful updated home in Dalworthington Gardens! This home has so much to offer from the awesome layout, tons of natural light, huge living area with wood burning fireplace, designer chandeliers, and two french doors leading out to the large flagstone patio, formal dining room with bay window, brick tile flooring, beautiful updated spacious kitchen with SS appliances, quartz countertops, eating bar and breakfast nook. This is a must see!" "Dalworthington Gardens Gem is located in the Ambassador Square Townhomes community; occupies two lots which allows for a privately situated gunite swimming pool for this Spanish Style 4 bedroom, 2 master suites, 3 fireplaces, 3 full baths, 2 half baths, Large family room and game room, formal living and dining rooms, second story balcony with winding stairs providing access to first floor covered patio; no HOA here; Roof replaced in 2019; convenient to Arlington entertainment district; centrally"